Hello my lovelies and welcome to my new post! As you know, brand new fall wedding season has just started. That means that all fall brides are searching for latest trends when it comes to bespoke bridal dresses. That is why I decided to dedicate today's post to this ever popular topic and wedding dress shopping for all brides-to be out there. We will be checking out together a new online store for all your special occasion and wedding dresses needs. Also we will be checking out some bridal trends that are going strong this season and giving bridal wear tips. If this is something that interests you, then keep on reading! The online store we will be checking out together today is called Angrila and it's an online corner where you can find a perfect dress for every special occasion including your own wedding. 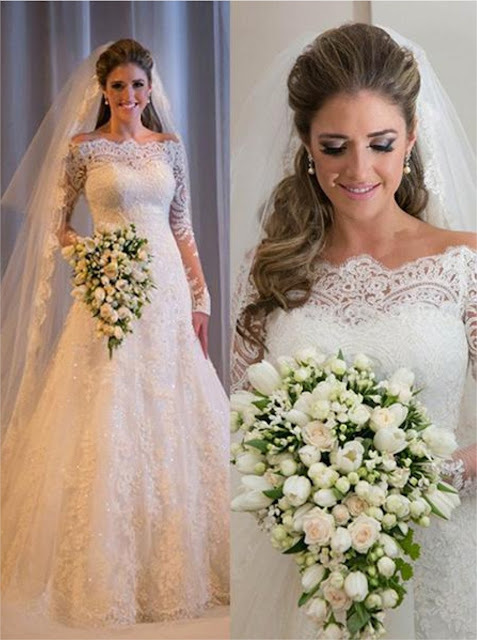 There you can find a variety of wedding dresses, prom and evening dresses, but also flowed dresses for your cutest girls in charge of flowers. Let's not forget about mother of the bride dresses as well. All of the dresses are high quality while the price is still affordable to keep your wedding on the budget. Also there is an option for custom design of a dress, as well as a gallery of photos where you can see their dresses on real people in real life. I added to this post few of my favorites when it comes to bohemian fall wedding dresses that I found in this store and I particularly liked. First one is sleeveless and the most popular model of the season in my opinion. The one on the second photo is a classic sweetheart dress you can never go wrong with! Third dress is most modern dress for young brides. 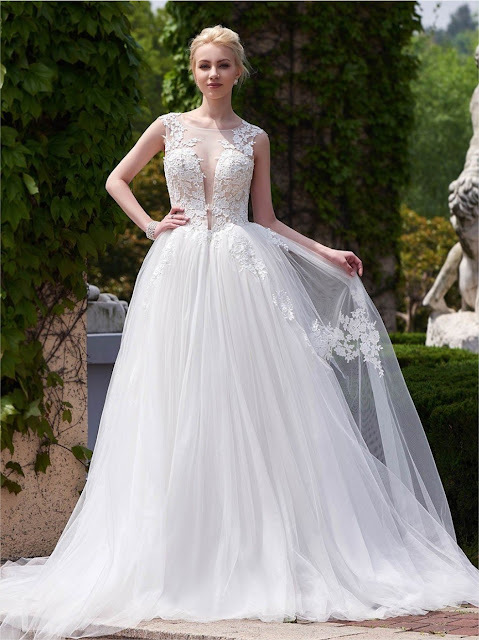 Fourth dress that I picked out for you is princess off-shoulder gown that is also going strong in popularity. I really love those lace sleeves! Last but not least, we have a wedding dress with removable skirt which fascinates me because you get two dresses in one! As you can see, these are only a few of the wedding dresses you can find at Angrila online store. There is also a wide choice of dresses for your bridesmaid squad. These dresses also come in variety of different colors and dress styles, while following all latest tendencies in dress fashion. Let me know how do you feel about these romantic bohemian wedding dresses that I showed you today my lovelies! What are your favorite designs that you found in this online store? Feel free to let me know!